One of the best ways to get a fresh start in your financial life is to pay off credit card debt. Carrying credit card balances from month to month and racking up interest charges is a waste of your financial resources. Instead of paying money to a card company, why not use it to build wealth for yourself? 1. Stop making new charges. If you have credit card debt that you can’t pay off in full every month, you’re in over your head. The first step to improving any area of your life is to acknowledge that you’re making mistakes. Stop making new charges so you don’t increase your credit card balances. That may require sacrifices like earning additional income or downsizing your lifestyle so you can cut expenses ruthlessly. 2. Consider the big picture. Whenever you make a decision to pay down debt, consider the “big picture” of your financial situation. For instance, do you have any other debt that should take priority, such as a tax delinquency, legal judgment, or accounts that have been turned over to a collections agency? 3. Pay more than the minimum. Many people who can make more than the minimum credit card payment each month don’t. 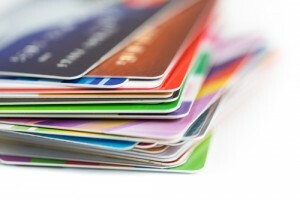 Never believe that paying a credit card’s minimum payment is good enough. The problem is that minimums go mostly toward interest and don’t reduce your account balance very much. For instance, if you owe $5,000 on a card that charges 15% APR, it would take you approximately 10 years to pay off the card if you just make minimum payments! 4. Target your highest rates first. Make a list of all your loans, lines of credit, and credit cards and their interest rates. Rank them in order of the highest interest rate to the lowest. Pay off debts with the highest interest rates first, such as payday loans, retail charge accounts, and credit cards. The higher the interest rate, the more it costs you per dollar of debt. Always use your existing assets–such as savings and investments outside of retirement accounts–to pay down high-interest debt. Also, consider what you could sell to raise cash. However, don’t deplete your savings. Be sure to keep a minimum of three to six months’ worth of living expenses in an FDIC-insured emergency savings account to stay safe. If you don’t have enough saved, stay focused on building up your emergency fund first. 6. Use a balance transfer credit card. If you can’t pay off debt using your existing assets, shift it from higher-interest accounts to lower-interest options. This strategy, called optimizing, doesn’t make debt disappear but does save you a bundle until you can pay it off. 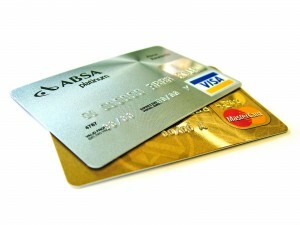 A common way to optimize debt is to use a balance transfer credit card. These special cards charge low or no interest during a set period if you pay down another account, such as a credit card or installment loan, and move all or a portion of the balance to the transfer card. By transferring your high-interest debt to a low or no interest card, you save money that can be used to pay down the balance transfer card debt faster. Ready to get rid of student loans, credit cards, or any type of debt you owe for good? 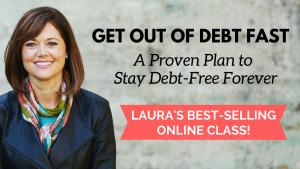 Enroll in Laura’s best-selling online class, Get Out of Debt Fast–A Proven Plan to Stay-Debt Free Forever. Click here to learn more and get started with a 50% discount for a limited time!